It’s been just a few days since my last post for House of Cards Challenge. Things have changed a bit for the better! Now all of us, the designers from all the different style teams, are going to share our projects for the challenge every 1st of the month on our blogs. We are also going to be adding our creations to the challenge inlinkz so you can hop along, visit each blog, and hopefully be inspired! Our challenge this month is a sketch! Remember you can rotate the sketch and use it as you wish, only let us know your interpretation on your blog post or online gallery. 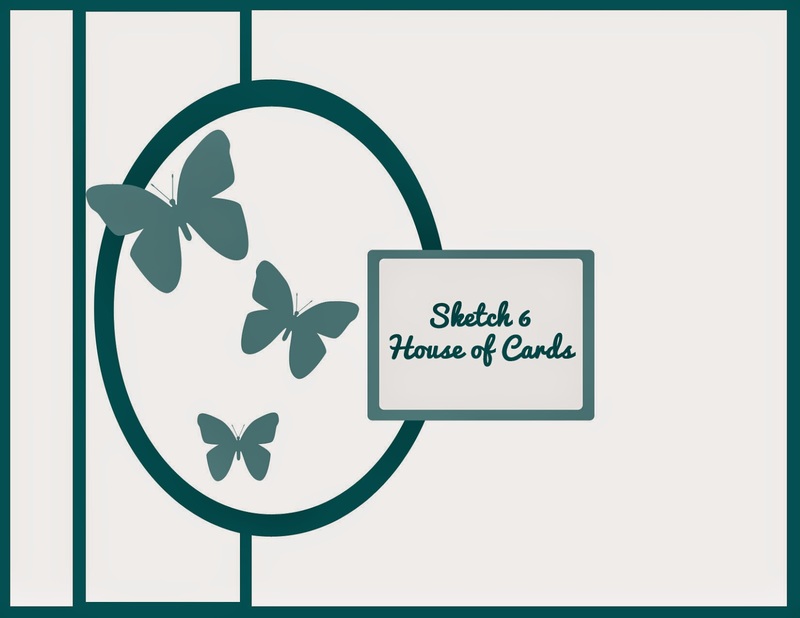 My card follows the sketch almost literally, except for the sentiment label, which I interpreted as a banner. I decided to make a shabby chic card in soft tones of lilac and blue. I used some pretty filigree dies starting with the frame, which I cut with ODBD Vintage Flourish die. I layered two elegant oval die cuts too. I wanted to add some shimmer to the card so I used metallic cardstocks for the frame and the blue oval, and I stamped and heat embossed in silver the butterflies with a newsprint stamp. The dies I used for the butterflies are very old, that set was called Butterflies Two by Spellbinders. After I heat embossed the butterflies I sponged them with Memento inks in Angel Pink and Lavender, and I gathered their center to give them some dimension. 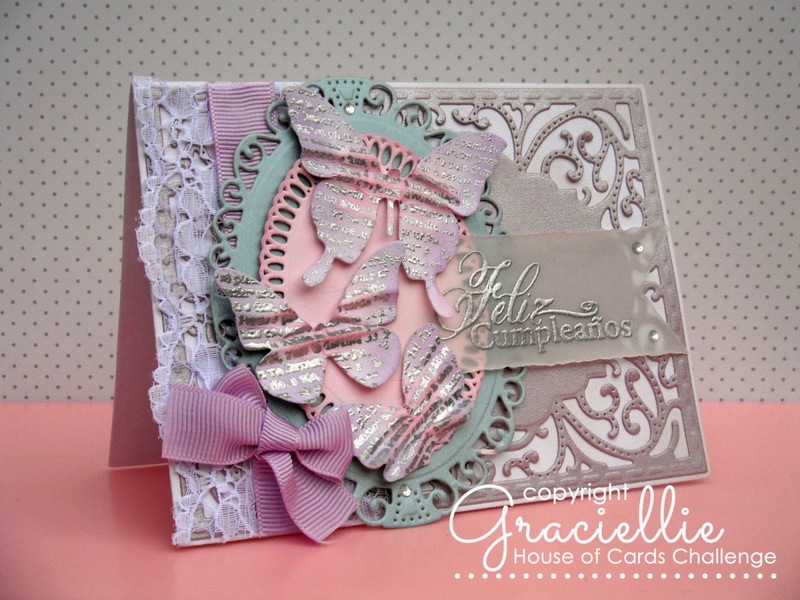 I stamped and heat embossed in silver a Happy Birthday sentiment in Spanish, on vellum. I distressed the vellum’s edges also. Of course a shabby chic card would not be complete without lace and ribbon so I finished the design adding some of that and some baby rhinestones. 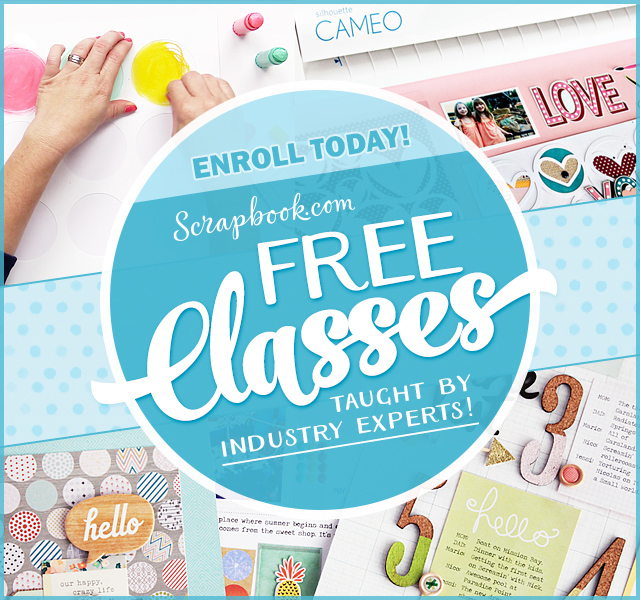 I hope you feel inspired and that you will join us this month with a card, box, layout, or whatever project your little creative heart desires. For more inspiration click HERE to check out what my teammates made. You’ll find our projects on the challenge inlinkz so you can hop along and get to know each designer. 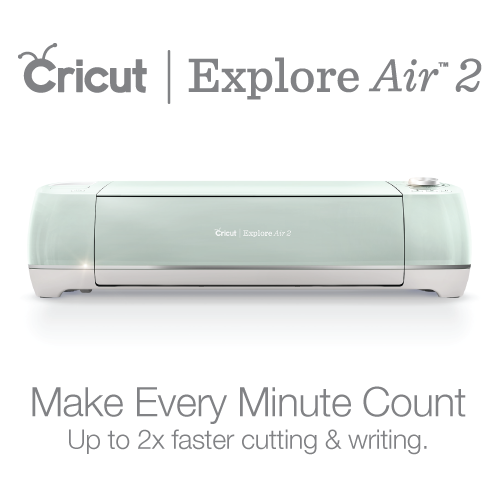 By the way, I can’t wait to see what you come up with!!! Beautiful card Gracie! Love all your gorgeous layering and the butterflies are so pretty! 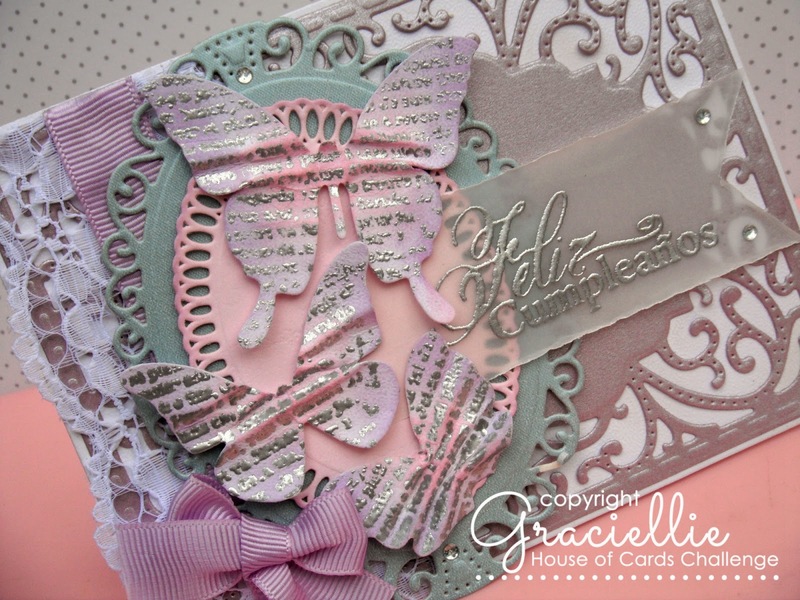 ohh woooww Gracie…I adore your butterflies and the sentiment on the vellum with silver and lovely lace and ribbon on your card…ADORABLE using the skerch Graciellie…hope you like to visiting me back teamy..
WOW WOW WOW!!! This card is stunning! Those butterflies are sooo pretty! Love all the textures and color combo is gorgeous! This card is gorgeous! Love the soft colors. Just beautiful! 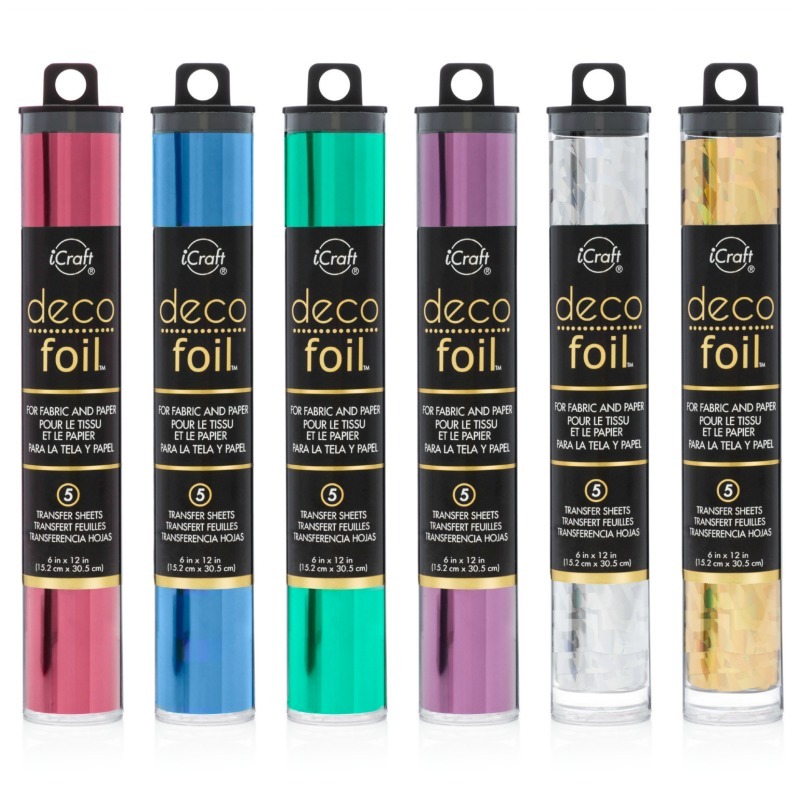 Unique combination of colors. Such a pretty card. Just popping in whilst I have 5 mins t say hi to team mates. Your card is very pretty and the die cuts compliment each other. Lovely! Adorable use of the sketch, Graciellie!! Love those pretty butterflies, die cuts and colors. So pretty, the vellum looks great and the butterflies are gorgeous. Great card. Beautiful card Graciellie! I love those large butterflies! Have a great day! These colors are so pretty, and I love how the butterflies turned out! Gorgeous card – love the colours you used.